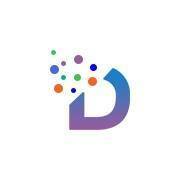 Our website address is: https://dynamicweblab.com. Functionality cookie_notice_accepted Remembers the state of visitor acceptance to our EU Cookie Law banner. This website is controlled and operated by dynamicweblab. dynamicweblab makes no representation that the information of the contents contained in the website is appropriate or available for use or do believe in accurate and dynamicweblab shall have no responsibility in respect of access to it from territories whose laws prohibit such access or where any aspect of the contents of this website may be illegal. Those who choose to access this website from other locations do so on their own initiative and are responsible for compliance with applicable local laws. Any claim relating to the information contained in this website shall be governed by the laws of Bangladesh and the viewers or users to the website agree to the exclusive jurisdiction of the courts of Bangladesh.